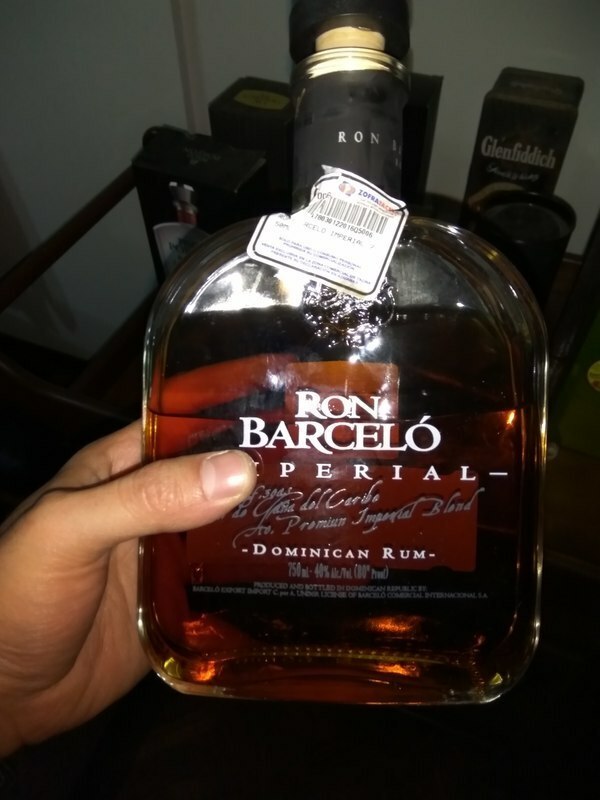 Have you found an online vendor selling Barcelo Imperial? 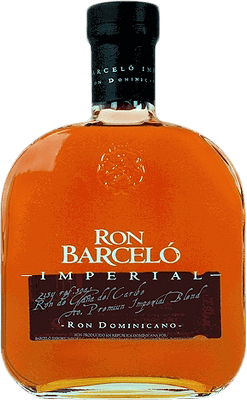 Barcelo Imperial rum is produced in the Dominican Republic using column stills before aged in white oak casks for up to 10 years. Ron Barcelo was founded in 1929 by Spanish entrepreneur Julian Barcelo in Santo Domingo, Dominican Republic. The brand was sold mainly in the Caribbean and North America until a much broader international expansion began in 1992. Not a rum for beginners or for all palates. Very dry, smokey, leathery. I am sure it would be a great rum with a cigar, but I am not a smoker. For the $20 I paid, I wish I had grabbed a couple more. When I tried, it had sold out. There are toffee and sweet brown sugar aromas, but the rum doesn't smell overly sweet. There is also the slightest hint of oakiness. There's a nice light sweetness to the rum initially and a touch of oaky bitterness which then fills your mouth with toffee. Not very complex at all but its tasty. More of a mood rum for me. Velice nádherná vůně čokolády a tabáku. Chuť jemná a výtečná. Poměr cena/výkon, vynikající. Tento rum bych doporučil vážně každému. I first had this in punta cana and absolutely loved it. i started having friends pick me up a bottle when visiting the dominican. The odd time the LCBO carries it in hamilton. I prefer this straight up or on the rocks rather than in a mix or rum and coke. Out of a dozen rums in my liquor cabinet, this is the one i reach for after a long day at work. Excelente ron, muy por encima de otros premium en cuanto a relación calidad/precio se refiere. Es un ron con un dulzor agradable, no raspa y con un final afrutado y caramelo. Para tomarlo solo con hielo. Beautiful bottle and even numbered. Well, even the best thing about this Ron. a slightly fruty and biting nose. On the palate, a bit too shallow, dried fruits, toffee, leather. Worthy to try. Not to much sweet.. caramel flavours.. a bit smokey.. Very easy to drink.. This is just a really enjoyable rum. Not bursting with flavours or aromas, but genuinely delicious. You could have a glass of this anytime. A great straight up sipper. This is a surprisingly good rum. I didn't have high hopes reading the ratings and knowing I prefer a sweeter rum, but this one is good. Nose for me is brown sugar and oak, while the taste is more smoky and long finish. Slightly spicy, bitter, and tart, but not overpowering. Slightly one dimensional without new flavors surfacing after the initial sip, I wonder if 3-5 more years of cask aging would really have improved this one. Average sweetness and quite easy. Fruity taste with oak/wood, some coconut and honey. Vítejte u další recenze, tentokrát se jedná o vlajkovou loď firmy Ron Barceló z Dominikánské republiky, dodávané v krásné elegantní lahvi o obsahu 0,7 litru a 38% alkoholu. Zrál nejméně 7 (některé zdroje uvádějí 8) let v sudech z amerického dubu. Aroma: Výrazná vůně kůže a tabáku, čokolády, nasládlost se potkává se zemitostí. Chuť: V chuti neobyčejně uhlazený, sametový, lahodný, plný a rozinkově nasládlý. Když budu hodně přísný, líbila by se mi větší výraznost dochuti, je na můj vkus příliš jemná. Shrnutí: Tento rum jsem podrobil opravdu náročným testům :-) , srovnával jsem s celou řadou rumů, které se u mě sešly. A patří k tomu nejlepšímu, co jsem poslední dobou ochutnal. Stroh 40, Abuelo Añejo, Matusalem 15y, ti všichni zůstali ve stínu Imperialu, jediný rum, který dopadl ještě lépe, byla Angostura 1824, ale tam už jsme v úplně jiné cenové relaci. Imperial seženete už kolem 550,-Kč, takže další muzikant, který vám zahraje hodně muziky za málo peněz. Sampled this rum at Cardiff Rum Festival. It's rich, dark and chocolatey with dried fruit and hints of sherry, a superb sipper! A great tasty rum. Not so spicy but taste compensate the lack of spices. A bit costly. A very pleasant sipper. Not nearly as strong tasting as it's aroma suggests. Smooth. Desi culoarea e de rom dark gustul e de rom golden. Gustul si mirosul se amesteca fara ca vreunul sa fie pregnant cu exceptia celui de alcool. A colleague of mine gave me this rum as a present. I must say the way the rum is presented (design, color of the rum) did make me expect a whole lot. But, although it's a tasty rum, it's not very special. A gift of this pushed me back into the world of fine rums, a superb standard. Un des premiers rhum gouté lors de mon séjour en république Dominicaine. j'ai vraiment aimé son goût et c'est grâce à lui que je souhaite connaitre d'autres bon rhum. I decided to try this Dominican rum and the takeaway is quite good. Not too sweet, quite smooth and enjoyable. Bought it in NYC as we do not have this kind in PA. Very nice for the price. Rhum à cocktails, avec du coca ou en mojito mais pas sec. I am perhaps taken in by the products of other islands, or maybe I have been seduced by rums in other price points. 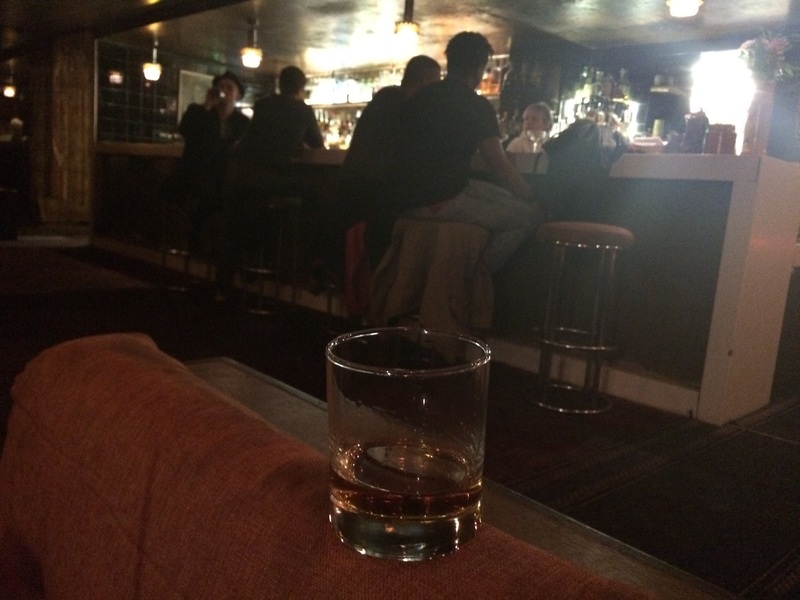 But, I no longer see the Imperial as a sipping rum. It's solid, no doubt - with a shallower version of the characteristics of newer rums from other producers. But, it doesn't light my fire. "ends with a carrot cake ice cream taste"